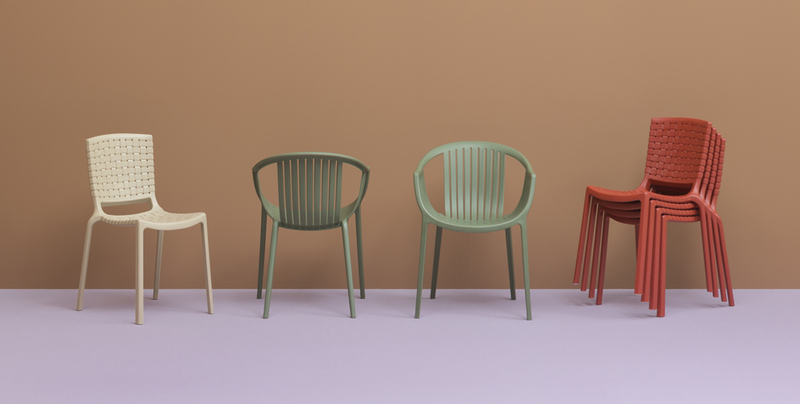 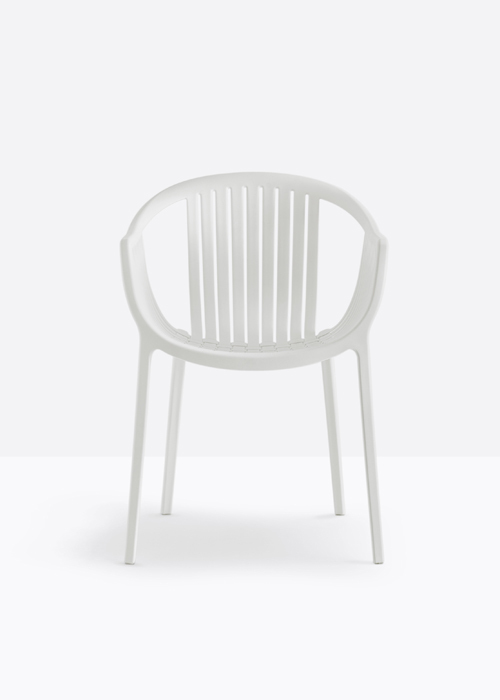 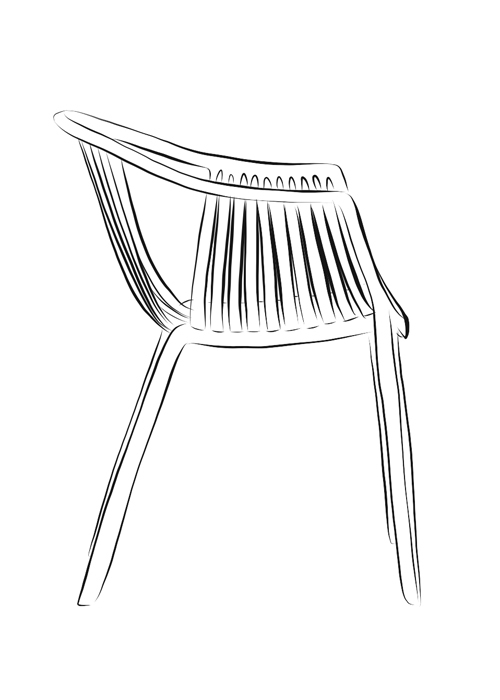 The classic weaving of the straw seats and backs is here restylished with the design of a chair entirely made of polypropylene, produced by injection with air molding technology. 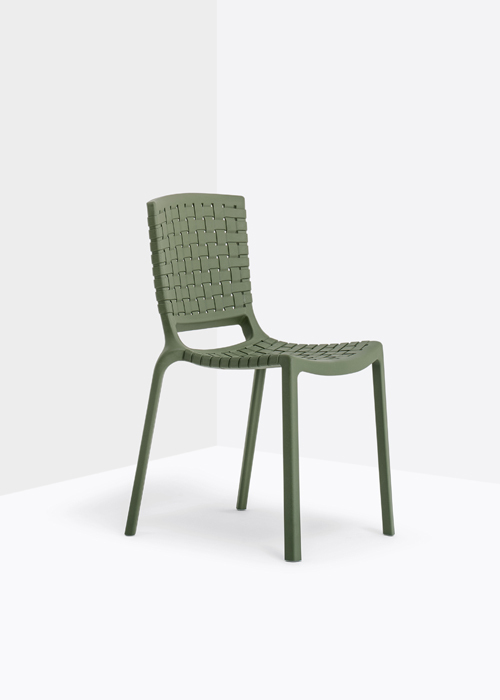 Tatami armchair, in particular, emphasizes the design of this texture that, starting from the seat, models also the shape of backrest and armrests. 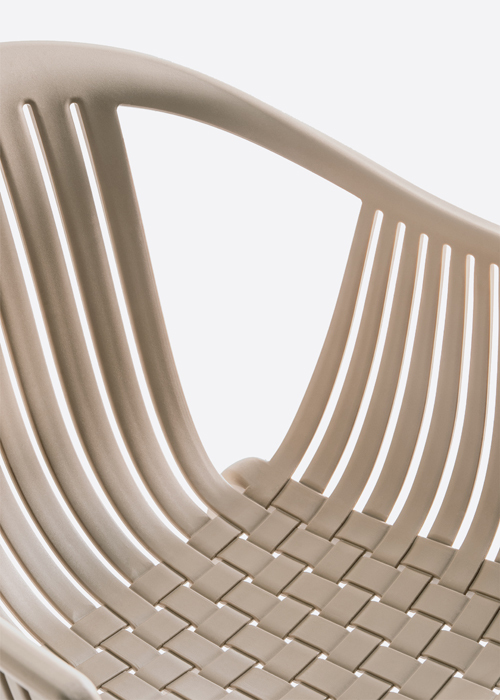 Organic lines that are perfect for outdoor scenarios.